The Department of Higher Education and Training, (DHETR), is proud to announce that a team of twenty-one young vocational Skills Ambassadors will be representing South Africa at the prestigious WorldSkills International Skills competition in Sao Paulo, Brazil in August 2015. 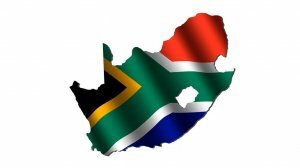 This global event will see Team South Africa competing in nineteen skill categories and against over seventy other countries to showcase their chosen trades. WorldSkills International takes place every two years and hosts tens of thousands of skilled young people from around the world, accompanied by their coaches and mentors. The competition is an opportunity to demonstrate their talents in a public and test themselves against the most demanding international standards. All participants must be between the ages of 18 – 22 with the South African team made up of the winners of the recently held WorldSkills South Africa Competition that took place in Cape Town in January 2015. WorldSkills South Africa aims to emphasise the key role that artisans play in the South African economy and to validate the artisanal sector. The competition is a reminder that a proper mastery of skills requires focus, training and dedication over time. “We have a considerable talent pool of young artisans in South Africa, and the WorldSkills International competition is about celebrating that talent. The fact is, as a nation we simply do not have enough artisans. There are more jobs in the artisanal sector than there are candidates – and in a nation that is challenged by unemployment, it’s clear that we need to address this disconnect”. The international competition is a powerful and important opportunity to benchmark South African skills against the highest standards and to showcase excellence in vocational training and education. The team traveling to Brazil will not only compete, but also take part in skills exchange and be able to experience the latest technological innovations and best practice in their respective fields.